Editor’s Note: This story has been updated to include Friday’s new vote tallies. No further updates are expected until Tuesday. 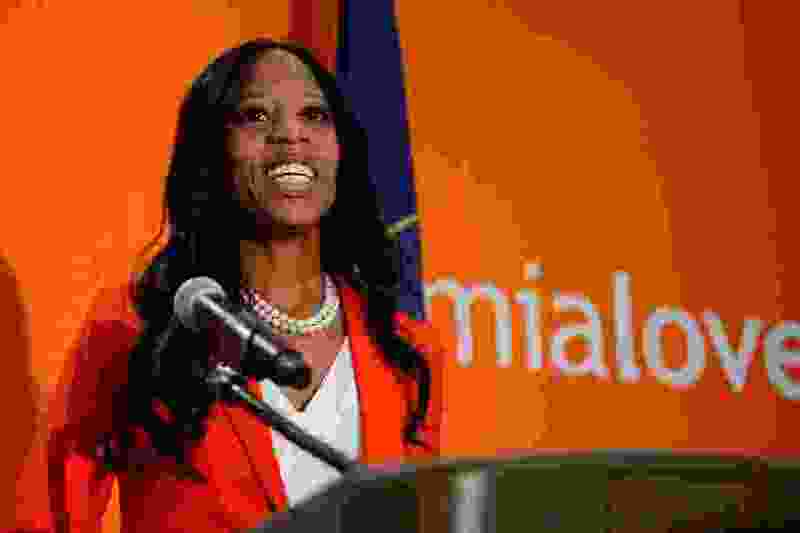 Rep. Mia Love’s needed good news Friday afternoon if she was going to have a shot at hanging on to her congressional seat. When more than 25,600 new votes were added to the 4th Congressional District results, Love managed to chip away at Democrat Ben McAdams' lead, knocking 1,842 votes from his margin, which now stands at 4,906. One nice bonus was that Juab County — which had reported only have three ballots outstanding — actually ended up reporting more than 600 Friday evening, most of them going to Love and lopping 380 from McAdams' lead. More importantly for Love, she actually picked up 566 votes over McAdams in Salt Lake County, which had consistently trending in his favor. I wrote earlier that, unless the trajectory changes dramatically, we would probably be able to call the race for McAdams. Well, that is a pretty dramatic change, so, setting my earlier prediction aside, we’ll wait and see what the next dump yields Tuesday. Here’s where the race stands after Friday’s updates: With 25,046 new votes counted, there are about 151,000 still outstanding in the four counties that make up the 4th District. Juab County: Who knows? Let’s say 3, I guess? Notable about this is that there are about 35,000 provisional ballots — more than half in Utah County — and will take some time to be verified and tabulated. Note that Love got up over 45 percent in Salt Lake County with her strong showing Friday. If she is going to pull this out, she has got to stay in the 45+ territory. Total that up and we project Love would gain 29,227 votes while McAdams would gain 27,266, so we would expect Love to cut 1,961 votes off of McAdams 4,906-vote lead — meaning he would be projected to finish with a 2,945-vote victory. But we’ve seen that margin slipping, down from as many as 7,100 on Wednesday. And here’s the really interesting question: What if Love’s surprisingly strong showing in Salt Lake County on Friday is not an anomaly and, in fact, is how the rest of the Salt Lake County votes come in? If she keeps getting 54 percent of the remaining votes in Salt Lake County, she would actually be projected to win by 3,083 votes. Could she really turn the results around in Salt Lake County that dramatically? Seems unlikely, but we don’t know yet. We also still have no idea how many of the nearly 35,000 provisional ballots will count and we have no past performance to inform us how those same-day registrants will vote. So we’ll see you back here Tuesday when we find out what the next bunch of data tells us. Correction: An earlier version misstated the number of ballots remaining in Salt Lake and Utah counties and, as a result, the number of votes each candidate would be expected to receive. The story has been updated with the correct figures.